Original 1978 Paramount Pictures Corp. licensed Grease vintage heat transfer iron-on print on a new and unused t-shirt. RARE licensed Factors print from 1979! 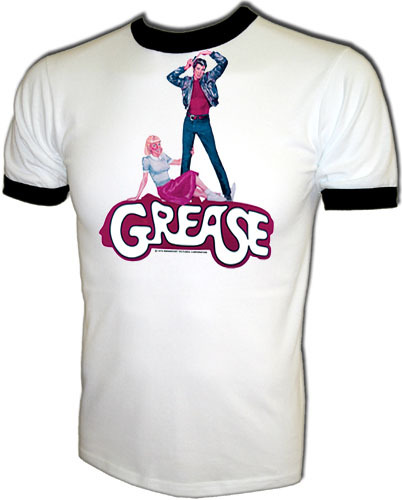 Super cool GREASE movie print licensed in 1978 by Paramount Pictures Corp. "Mmmmmm," an AmericanRinger.com exclusive, featuring both John Travolta and Olivia Newton-John posing Hildebrandt style for the teaser poster! AmericanRinger.com acquired these and NOBODY ELSE HAS THEM! This is the real deal vintage stuff only available from American Ringer.